Our system allows you to control two-tube as well as four-tube air conditioning installations. Two-tube systems are more common, with a three-speed fancoil and a valve. The four-tube ones can be controlled by electromechanical valves or by proportional valves with PID algorithms for very demanding installations. In all the versions, the philosophy and the algorithm are very similar. Inside the room our system is divided into two parts. One is the control unit, inside the electrical panel or inside the false ceiling. The other part, which clients interact with, it’s a modern design console, pleasant and intuitive. With this console the customer can tell the system the set-point temperature, regulate the fancoil’s power speed or turn the air off. The console houses a room temperature sensor, an LCD display and a touch pad. The SPIR precence sensors, the window contacts and the door contacts are all connected to the control unit. All these sensors let us know if there is anyone in the room or not. The detection system does not require a card inside a slot and so it is compatible with any kind of lock, either with a traditional key or with a modern plastic card. To explain it simply, if there is movement inside the room with the door closed, the system assumes that there is someone inside. On the contrary, if the door closes and there is no movement inside, the room is empty. In this last case, the system activates the shutdown times for the air conditioning and the lights. Also the air conditioning is disconnected if the windows or doors are open during a pre-set amount of time. The control unit has relay outputs or transistors that control the air conditioning and the lights systems. In order to achieve more savings, the system has a night time mode, which allows a certain deviation from the set temperature in the room, assumnig that it is very likely that the people in the room are sleep. For example, if a customer selects 25ºC in summer, with the night time mode set to 2ºC deviation, the system will allow for the room to gradually reach 27ºC. If the customer touches the console, the window, the door and optionally the lights, the system will go back to 25ºC during 20 minutes. The control unit can be connected to the server via twisted pair cabling in bus which goes from room to room or else via the Ethernet. The customer can select a set-point temperature within an allowed range set by the owner. If the system detects presence and the windows and doors are closed, it will try and reach the chosen set-point temperature. If the customer is not in the room, the system will either turn off the air conditioning or it will choose another “confort temperature” pre set by the owner. a) go from “comfort mode” to turned off. b) turn itself on with a pre set temperature chosen by the hotel. c) turn itself on with the last set point temperature chosen by the client. There is also the option to set an ecological temperature. This is automatically calculated from the outside temperature and humidity. This is for clients who need a little special attention. They can select any temperature they like and it will remain on whether they are inside or outside the room. This mode can be selected for a preset amount of time and afterwards it will automatically go to “occupied” mode. The system tends to reach the temperature preset by the administrator of the installation which is the “maintenance temperature”. 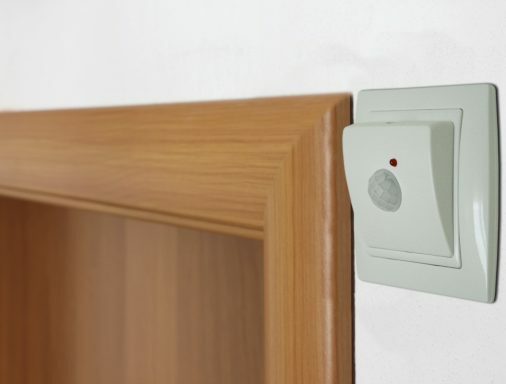 The aim of this maintenance is to avoid extreme temperatures in the room when not in use. If this system is connected to the reservations system, when the room vacates it will automatically go to “unoccupied” mode. The system is off and it will only turn itself on when the temperature drops bellow 5ºC. The system maintains the humidity bellow a preset level. It can also be programmed to start a certain amount of hours a day. It is ideal to avoid humidity when the installation is close to the see or in the tropics and the rooms are not in use for long periods of time. Remotely a temperature is set and the systems tries to maintain it. The temperature probe is ignored and the fancoil’ speed and valve are set.